In this closer view of an Australian eucalyptus tree you can see dark black branches that have died even though the tree is still healthy. These hardy trees can cut off the supply of water to certain branches in times of drought, allowing the main body of the tree to remain alive. These sacrificed branches can fall off without warning, hence the nickname “Widow Maker”. 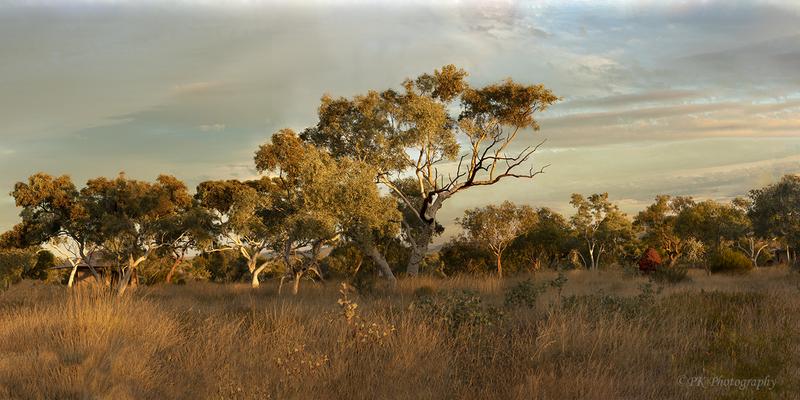 Knowing about the eucalyptus’s tendency to drop branches might be handy if you are wandering in the outback. 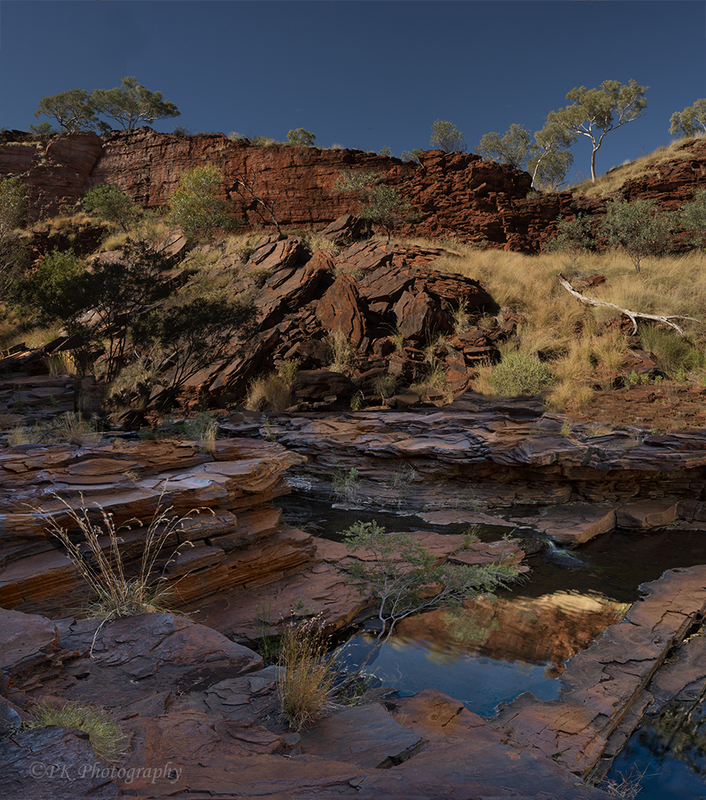 Karijini, the subject of my last two posts, is only a small part of the Pilbara, a dry outback region in Western Australia. 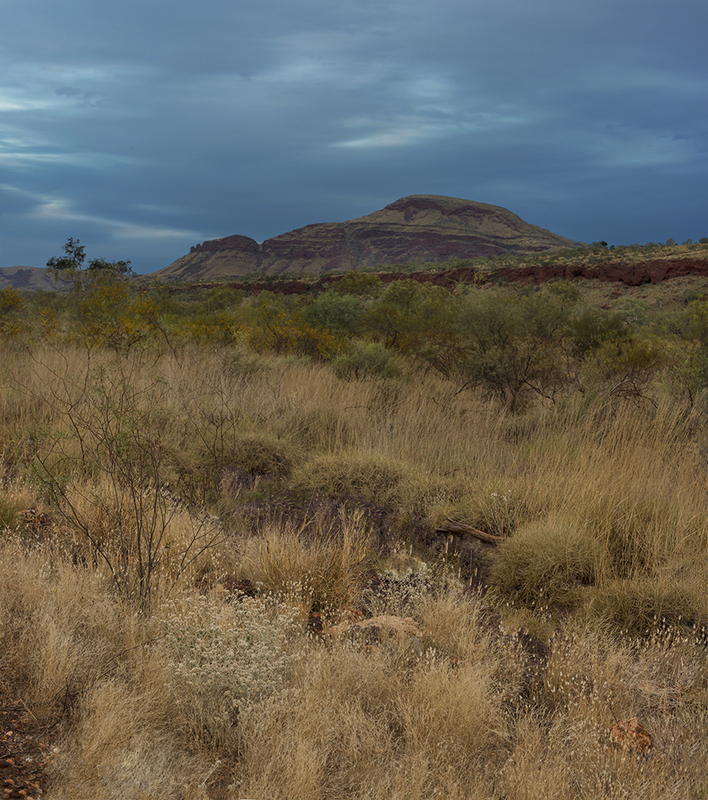 The Pilbara has huge expanses of gum trees, spinifex grasses, and other desert plants. The area pictured here is rich in ire ore. Miners fly in from other parts of Australia and work for an allotted period, then return home temporarily. Everyone we saw at the local airport where we flew out wore a miner’s uniform and was headed for work. We took a wrong turn one night and ended up at a huge mine that was all lit up like a big city. It could have been an interesting photo, but a sign said, “STOP! Do not proceed!” So we turned around. We saw trains and big rigs, much longer than the ones we have in the U.S., filled with iron ore. 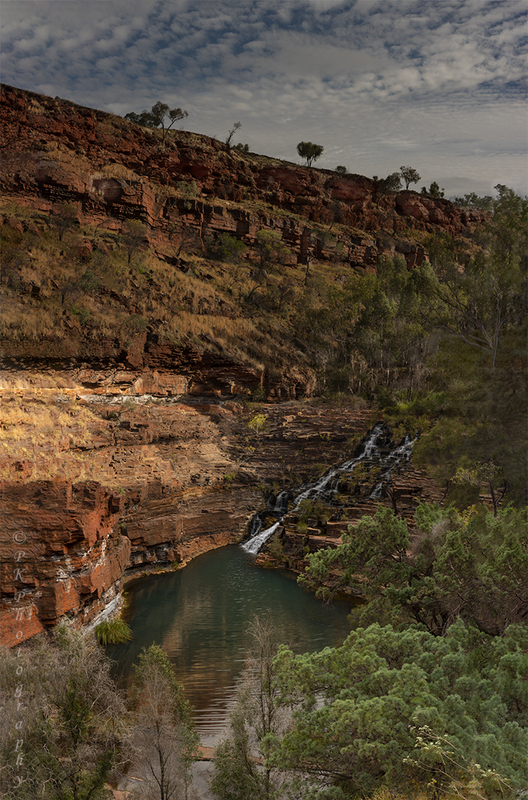 The waters of Fortescue Falls cascade all year long from the rim of Dales Gorge in Western Australia’s Karijini National Park. 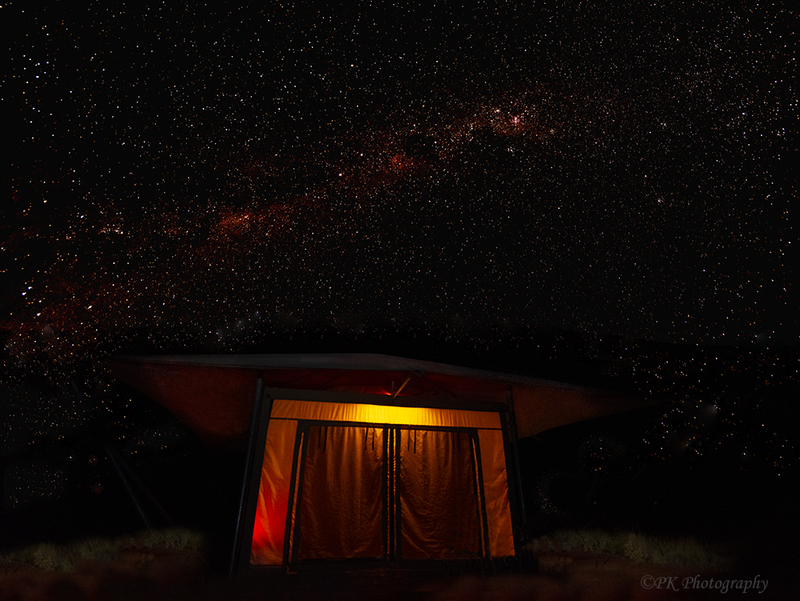 This was our glamping tent home in Karijini. Every night, as soon as the sun went down, the stars came out! There was very little ambient light. 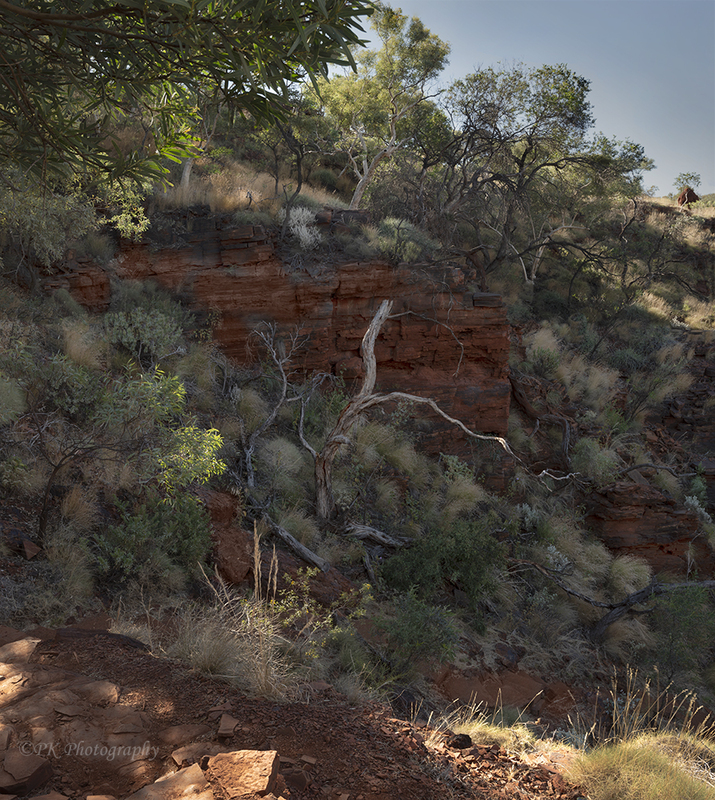 The descent into Weano Gorge, in Western Australia, was steep. But at least the endeavor did not require climbing down a vertical ladder, as some did, which would have been very hard to do with a camera and tripod. 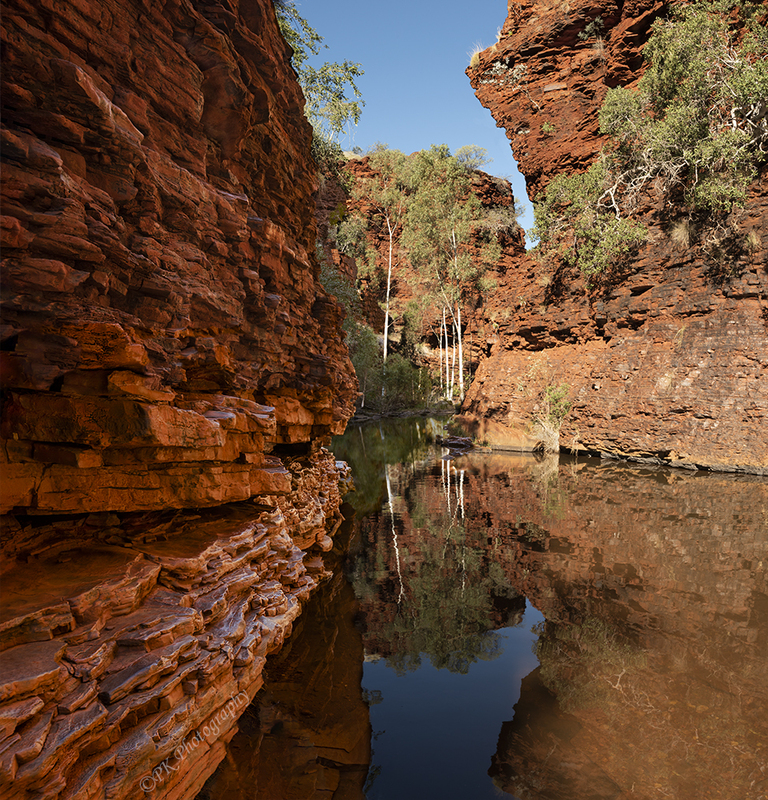 After hiking down, I enjoyed photographing more red rock and reflections in pools. The side of the gorge was lush with native vegetation. 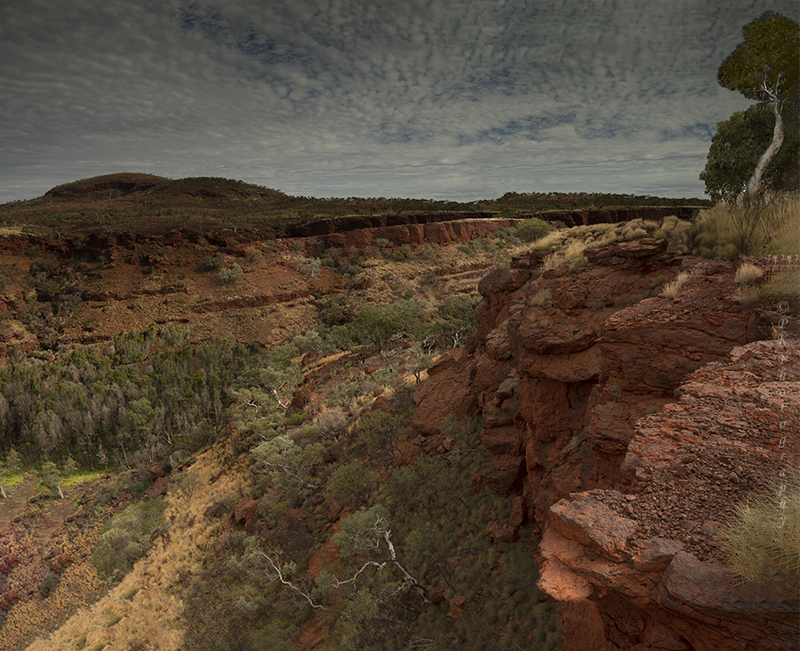 From the rim of Dales Gorge in Western Australia you can see a wide expanse of red rock and native vegetation. 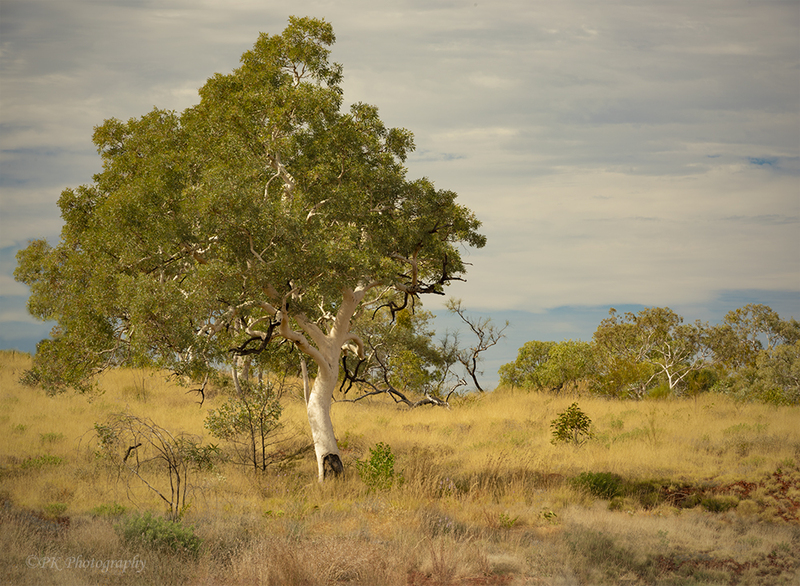 Near the rim, a small, white-trunked gum tree holds on for dear life. 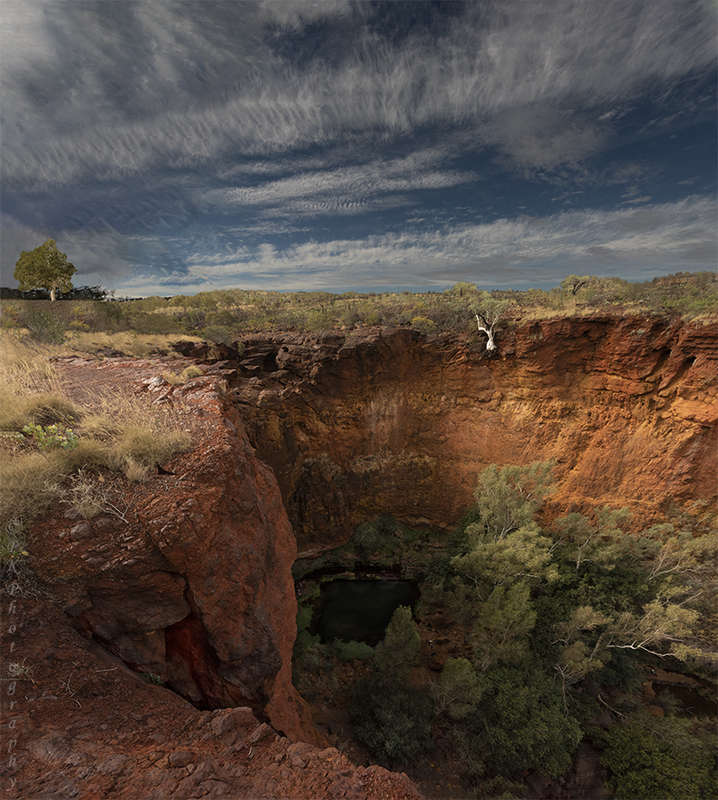 Down below, the dark, cool waters of a circular pool beckon adventurers to climb down for a dip. 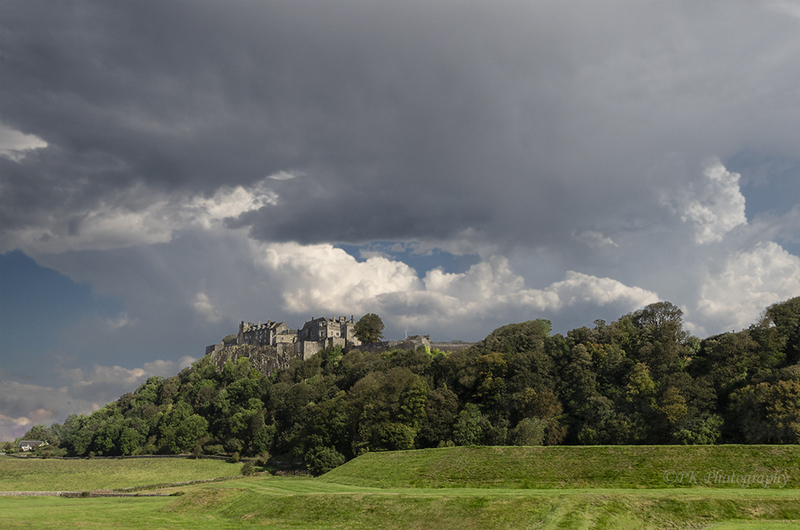 One of the most famous landmarks in Scotland, Stirling Castle dates back to the twelfth century. In times of peace, Scottish royals held court there. But in times of war, the area in and around the castle became a center of conflict. 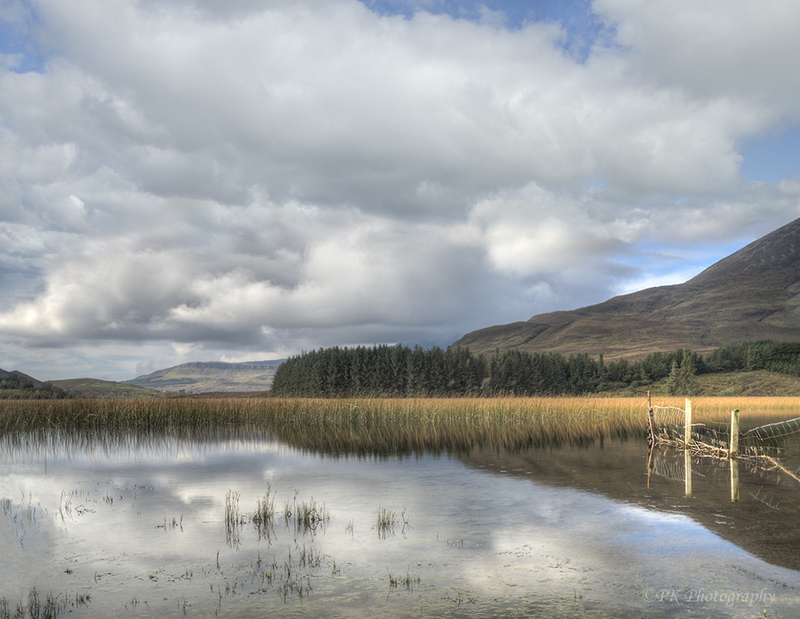 Near the castle’s perch atop a massive volcanic rock, are the sites of William Wallace’s 1297 victory against the British at Stirling Bridge and Robert Bruce’s 1314 victory at Bannockburn.